Most traveling golfers are familiar with Hilton Head Island, for good reason: It’s one of the top destinations in South Carolina, and indeed the Southeast. But just a short boat ride away, tucked away in a world all its own, is Daufuskie Island and The Haig Point Golf Course. 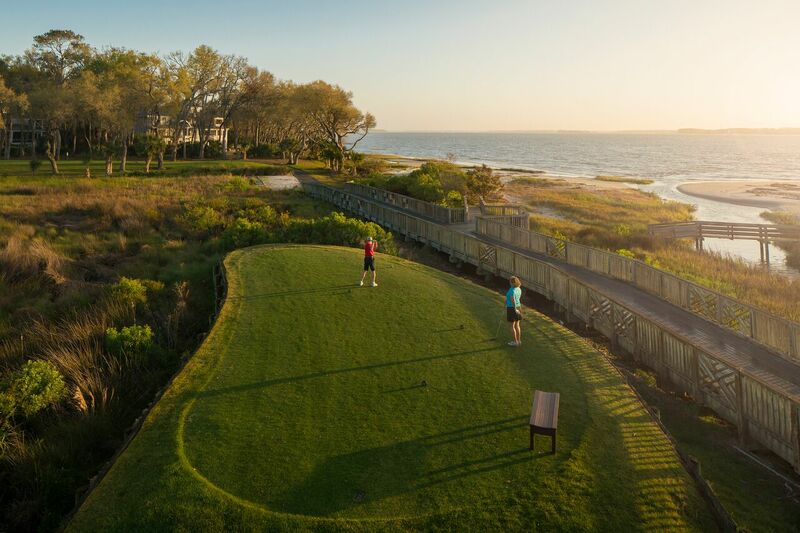 The Haig Point 20-hole Rees Jones Signature Championship Golf Course maximizes its location, ambling from the Calibogue Sound through lush sea island forests and along wide stretches of pristine salt marsh. While most ocean courses only have two or three holes that touch water, Haig Point has seven tee boxes or greens with ocean views. First designed in 1986, the course was 20 holes long and designed to bring out the best in the game and golfer. Jones returned to Daufuskie Island in 2007 to restore the greens and sharpen the course’s legacy as one of the best in the nation. The yardage increased from 7,150 to 7,380; increasing the USGA rating. The Haig Point Signature course has appeared in Golf Digest’s “America’s 100 Greatest Courses” and “Best in State,” and has earned a coveted position in Golf Magazine’s “Top 100 in the World.” On the Signature course, the 8th and 17th holes have two holes to choose from making this a true challenge. Par is 72 on this 74.9 rated course. The Bermuda grass has a slope rating of 142 and can be challenging but is completely worth it. The 9-hole Osprey course boasts breathtaking surroundings and views. It offers a fast, family-friendly option for those who are new to the game or would like a relaxing round. The Osprey course consists of Bermuda grass and has a rating of 74.9 with a slope rating of 142 with par being 36. With no bridge to the island, golfers take a 30-minute ride over to Daufuskie Island on the ferry from Hilton Head Island. 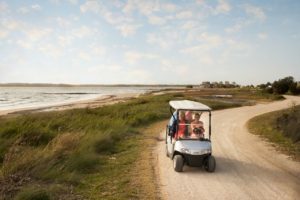 With no cars on the island, visitors can get around via electric golf cart, bicycle or by foot. Haig Point and the secluded island around it form a unique slice of the Old South, more than worthy an extra day in the Hilton Head region — and, if you’re so inclined, a lifetime of primary or second home ownership. The closes international airport is Savannah, less than an hour’s drive away.